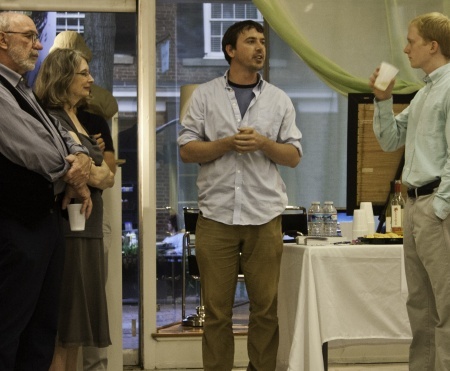 Stephen Balut is a Charlottesville-based architect at Bushman Dreyfus Architects and an artist. He has been a resident artist at Chroma Projects. In May of 2012, Balut lived in the window of Chroma Projects on the downtown mall as part of an art piece called the "Urban Conspiracy Theory." ↑ Web. Charlottesville Artist Provides Window on the World, Ed Sykes, NBC29, 7 May 2012, retrieved 25 May, 2012. This page was last edited on 29 May 2012, at 23:10.